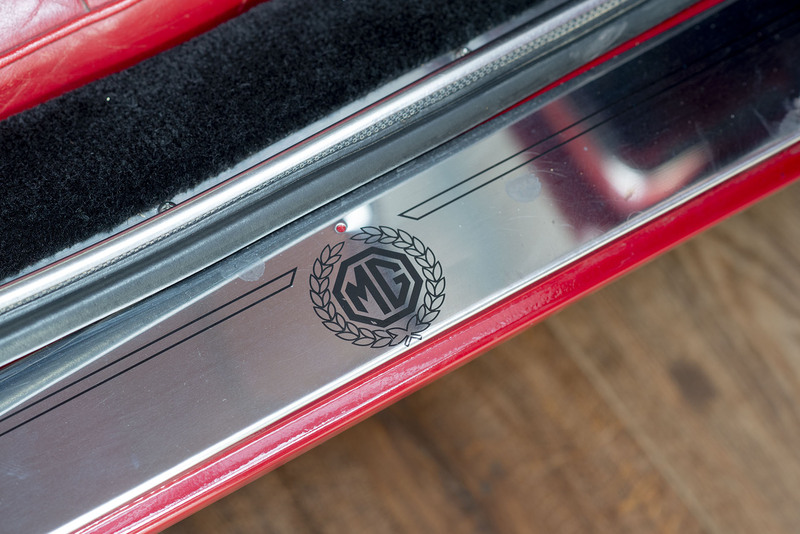 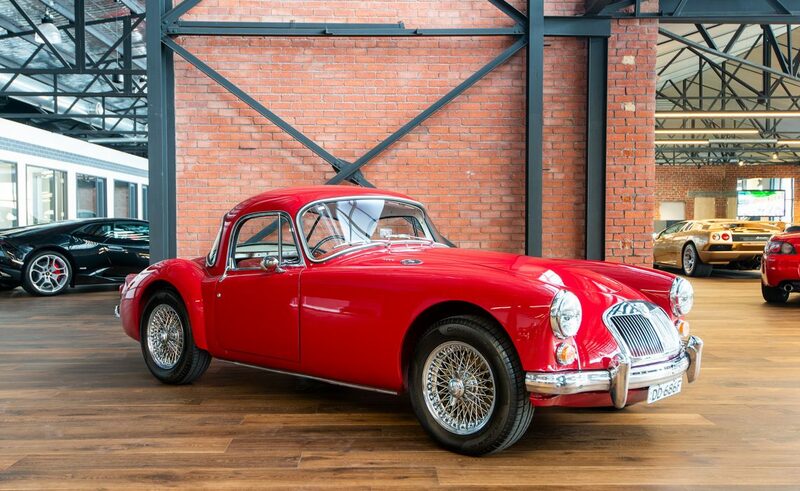 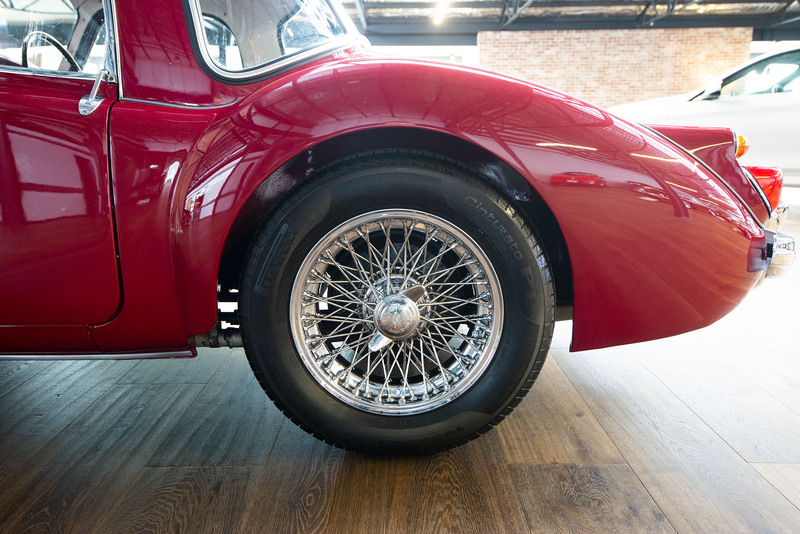 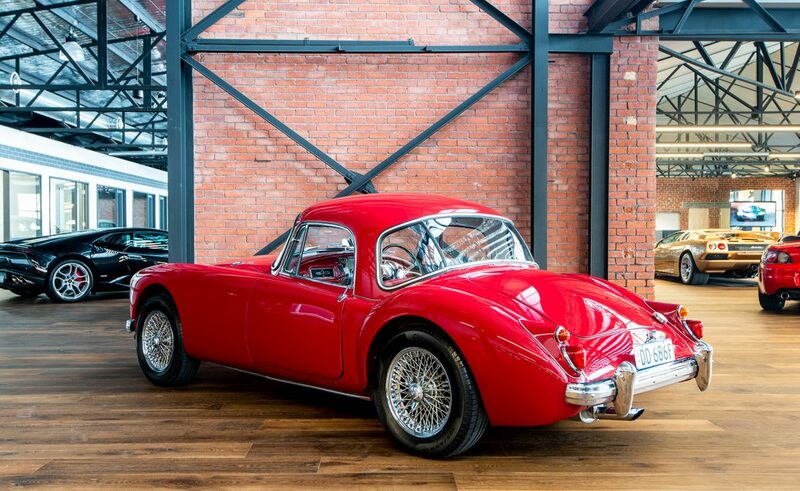 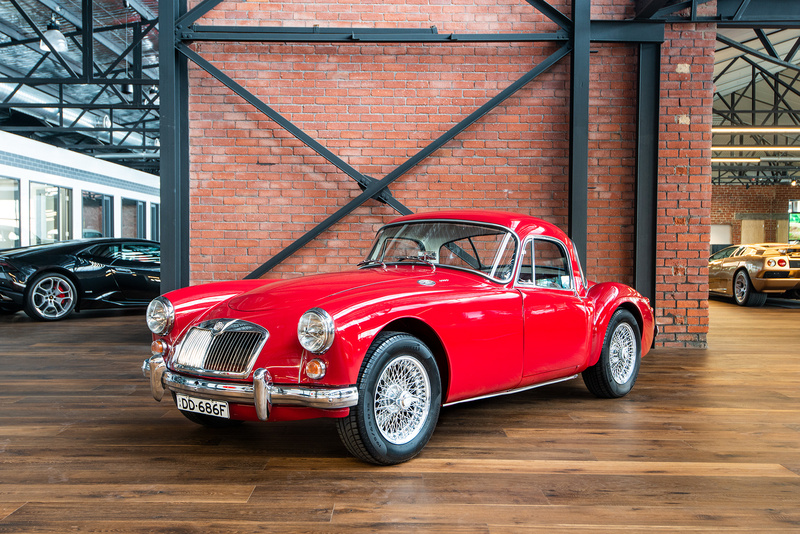 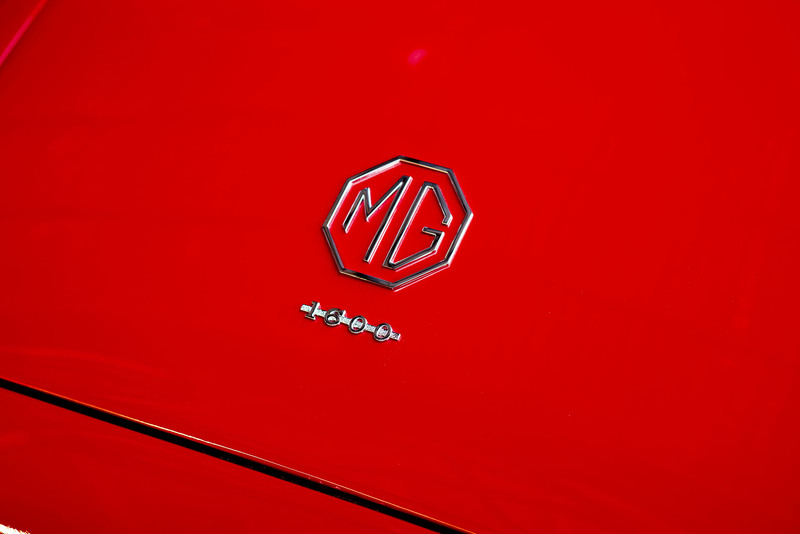 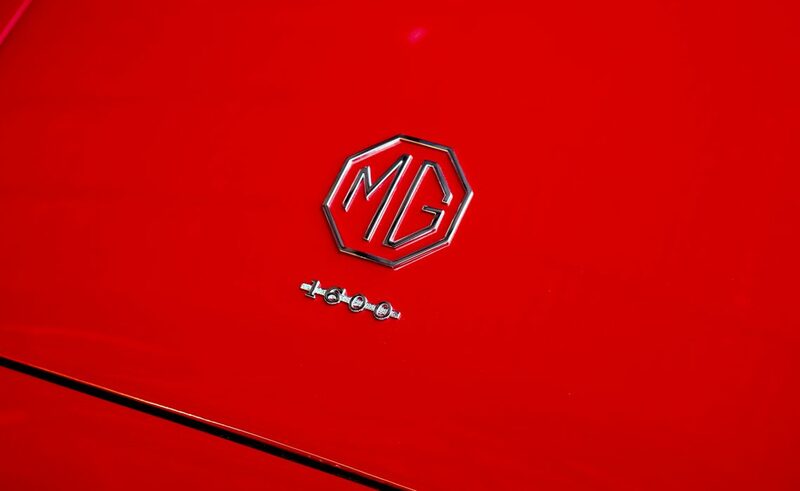 The design of the MGA design dates back to 1951 when MG designer Syd Enever was asked to create a streamlined body for the MGTD Le Mans race car. 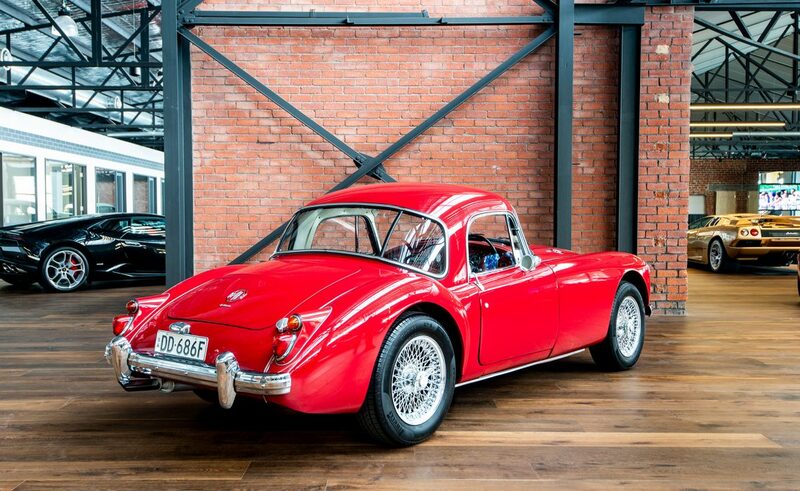 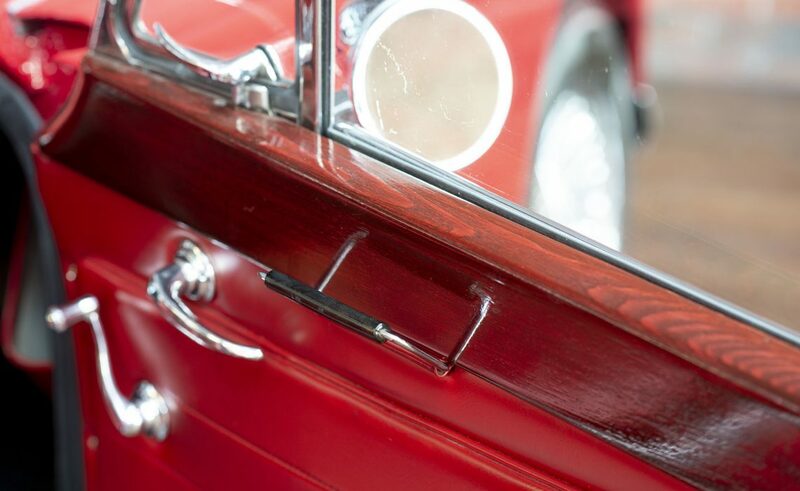 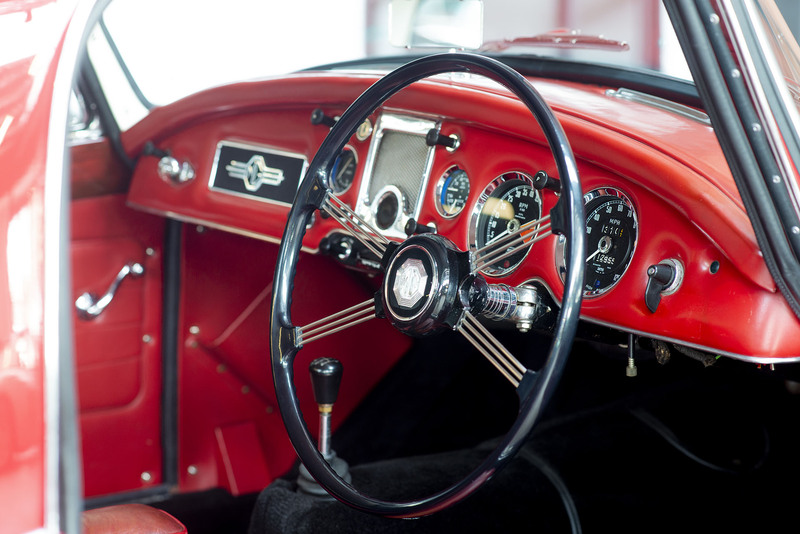 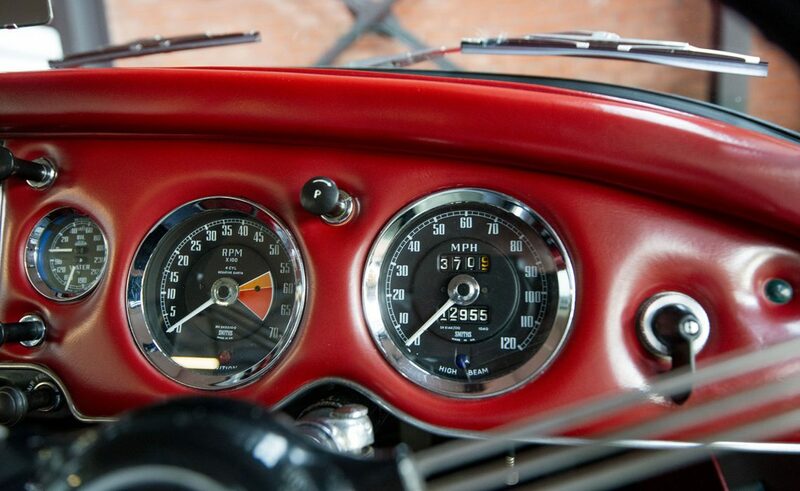 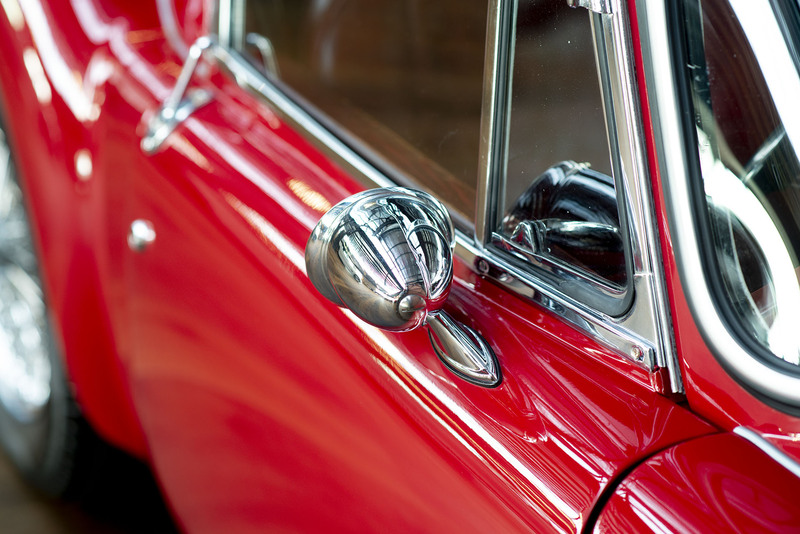 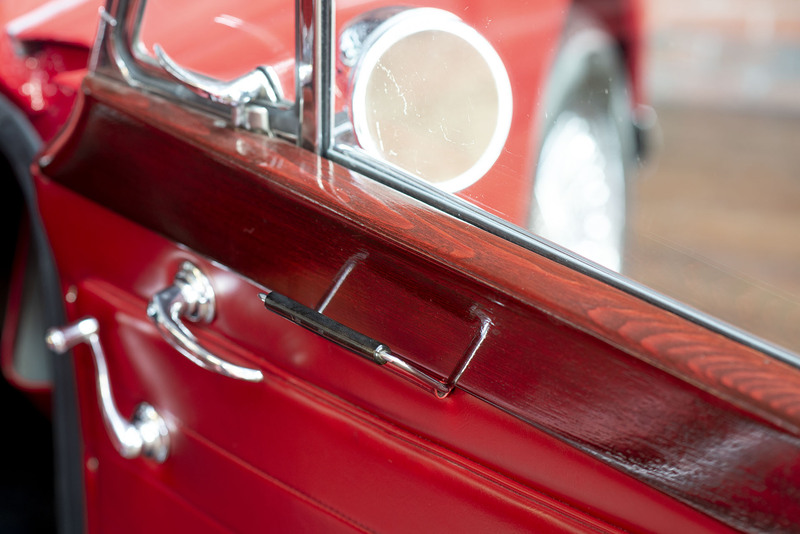 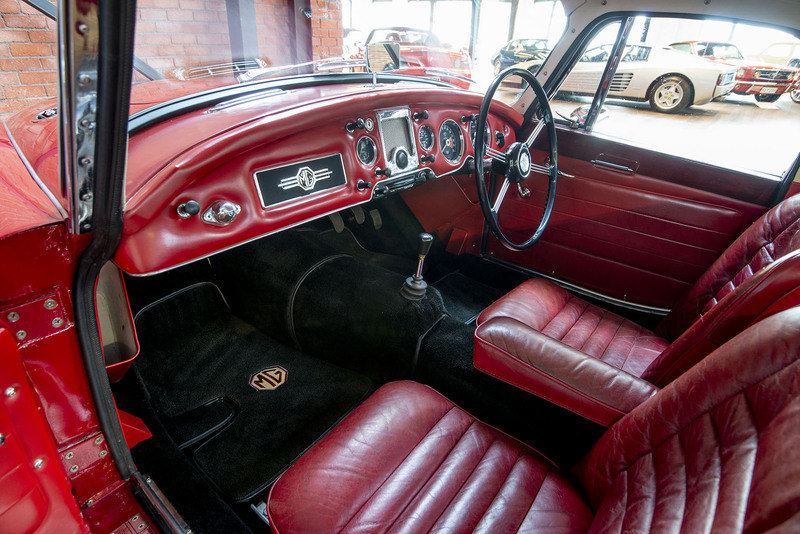 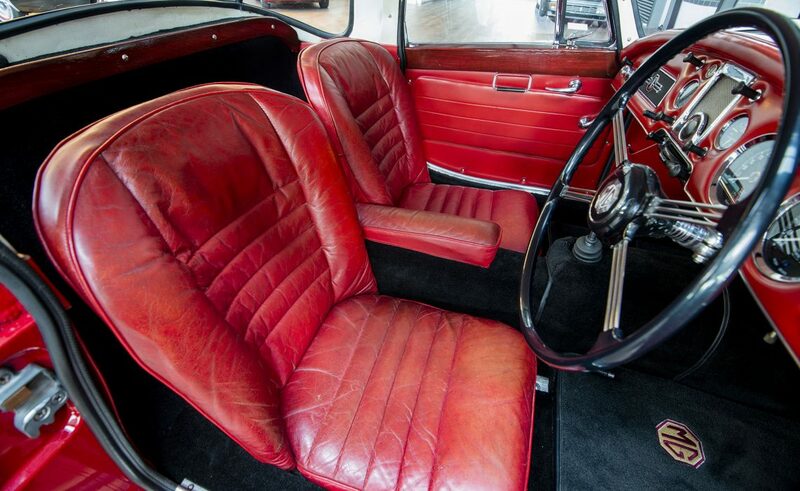 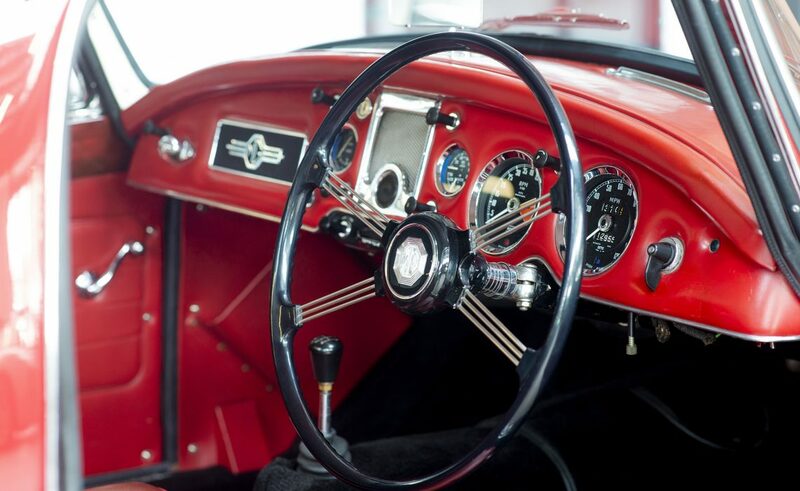 From that original design, MG designers gently modified the race car into what we all now love, the MGA road car. 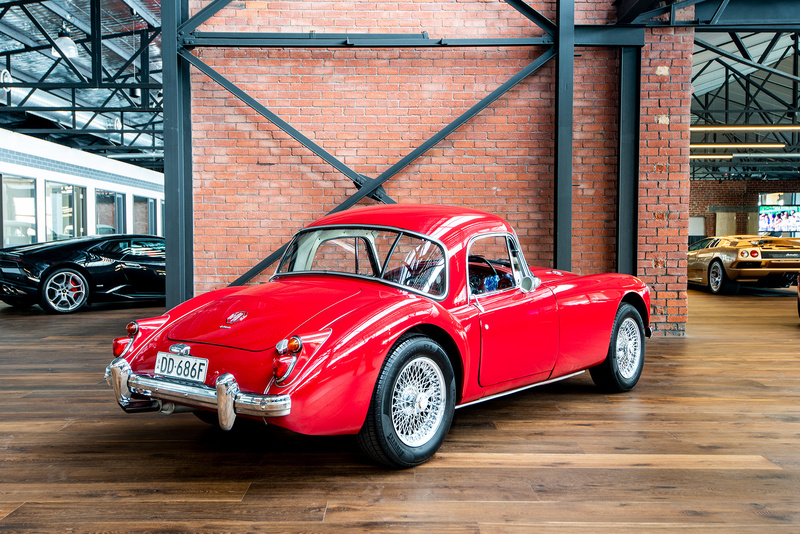 Evolution and market requirements eventually led to a coupe version of the roadster, mainly required for Northern Hemisphere winter weather conditions. 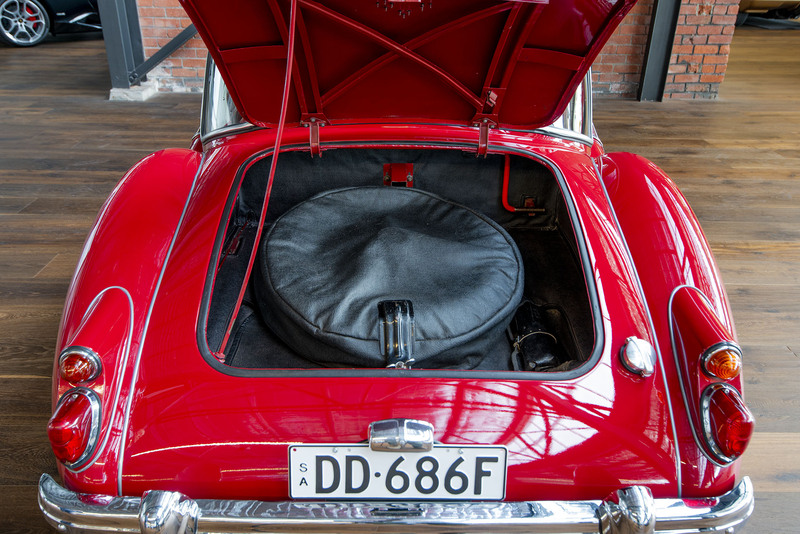 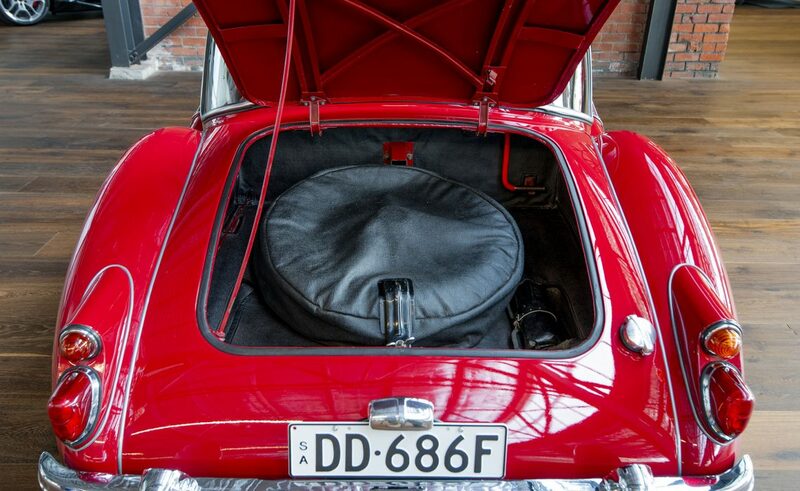 Coupes were made in much smaller numbers than the roadsters, making this example quite a rarity in Australia. 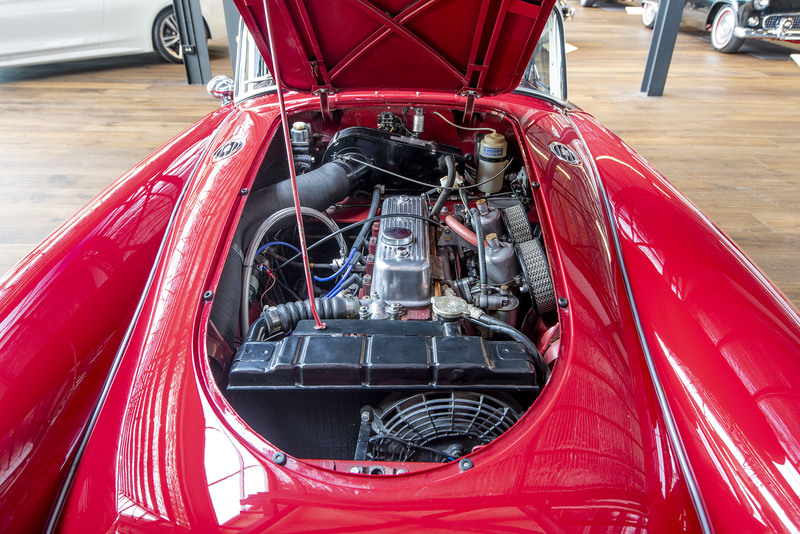 Originally powered by a 1489cc B Series engine, the 1600 Mk1 received a 1588cc version producing 79.5Bhp/59Kw of power and a top speed of 96mph/153kph. 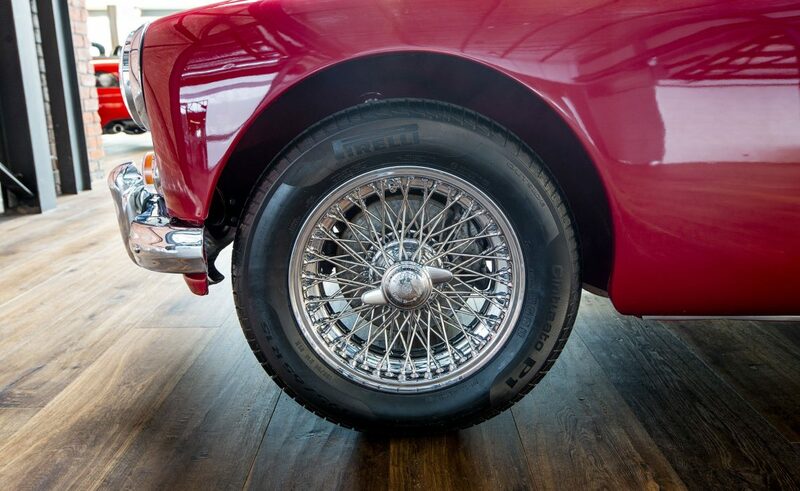 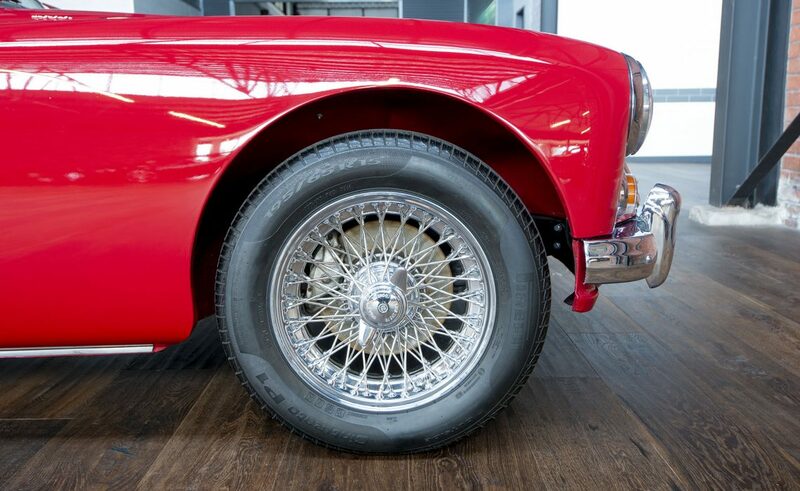 Front brakes were changed to discs for the 1600 version. 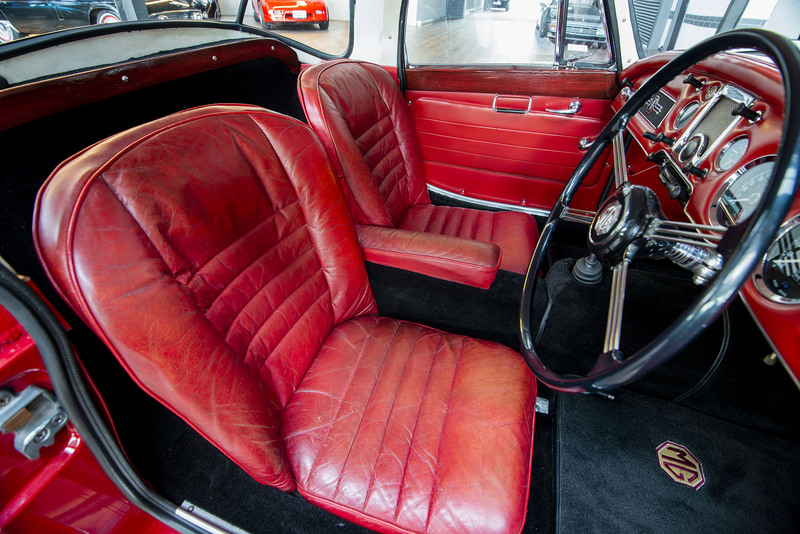 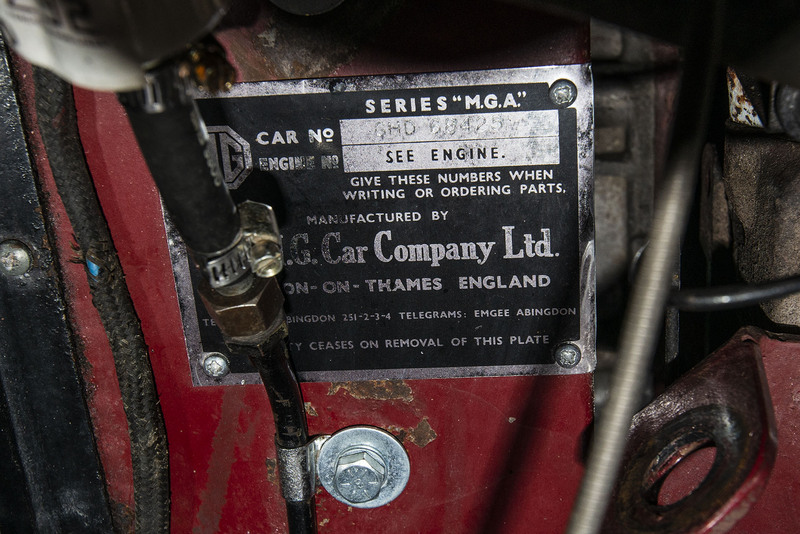 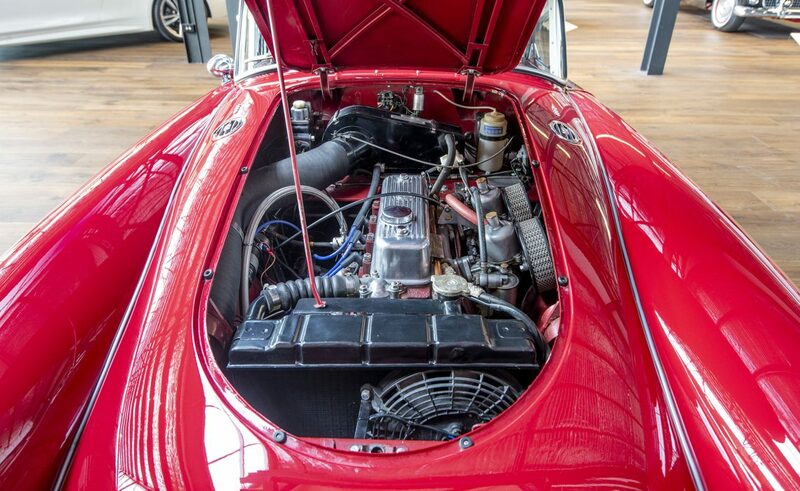 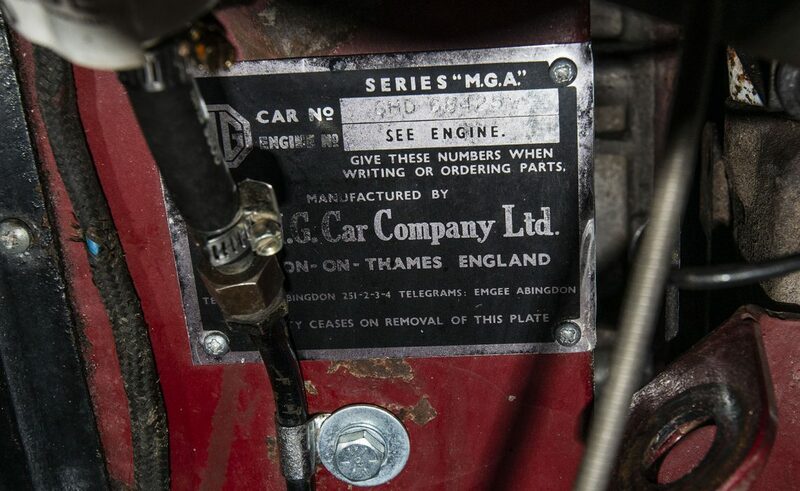 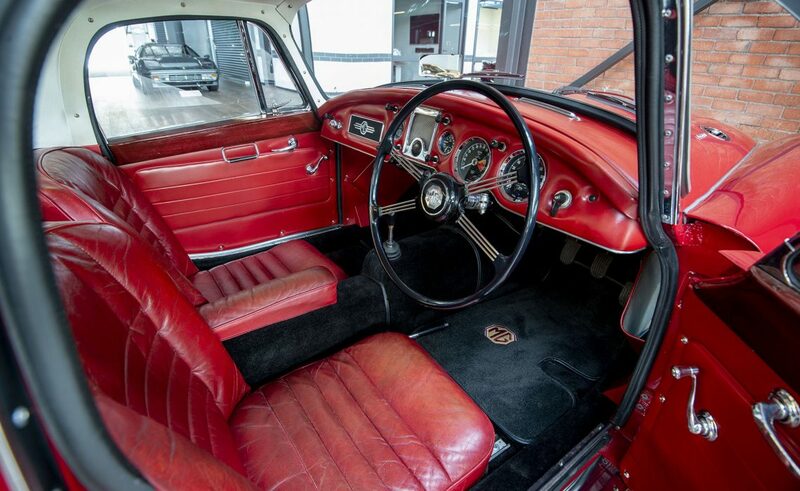 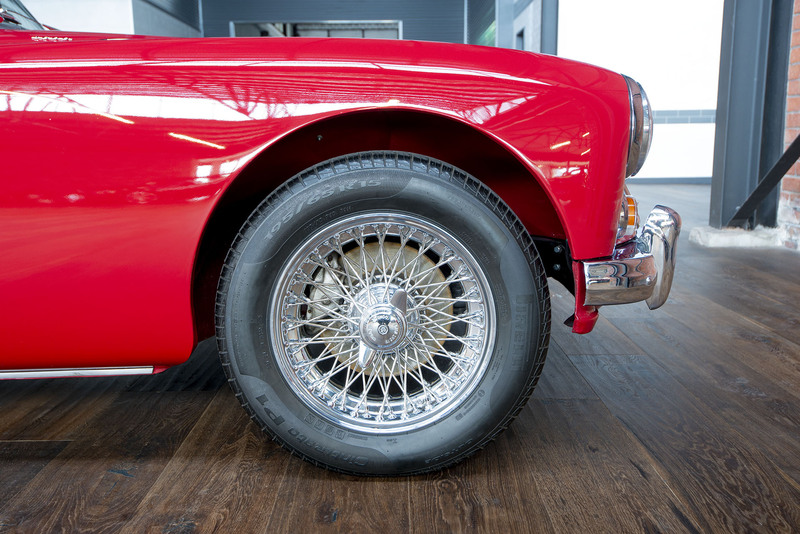 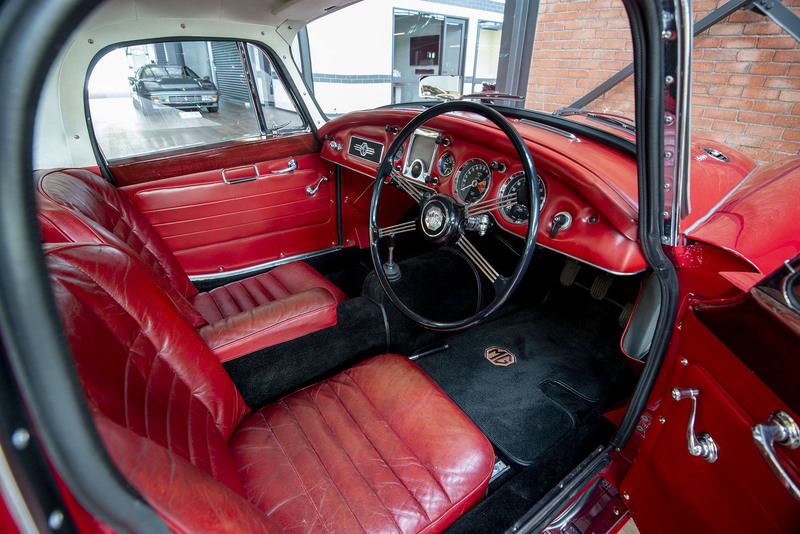 The example here has had some sensible and sympathetic modifications, namely the fitting of an MGB 1798cc B series engine giving even greater power and torque and matched by wider chrome plated wire wheels. 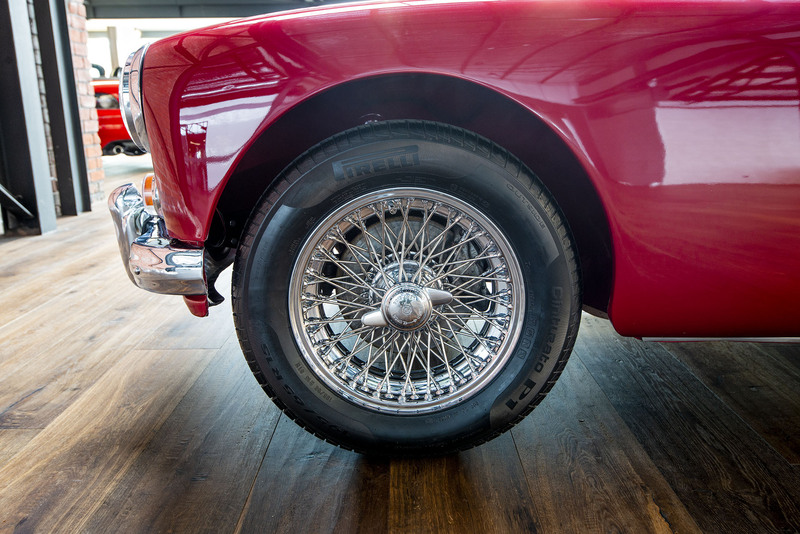 The effect is very in keeping with original design and both the original engine and narrower painted wire wheels come with this package. 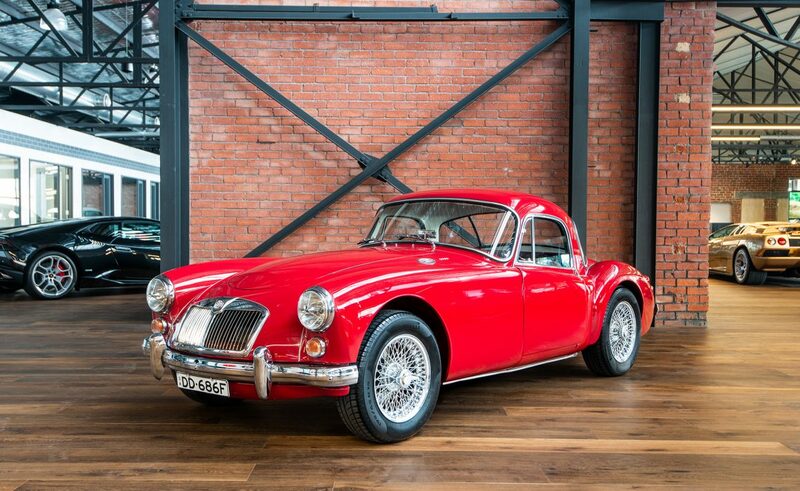 A very sweet classic car that would grace any garage, be early to enjoy. 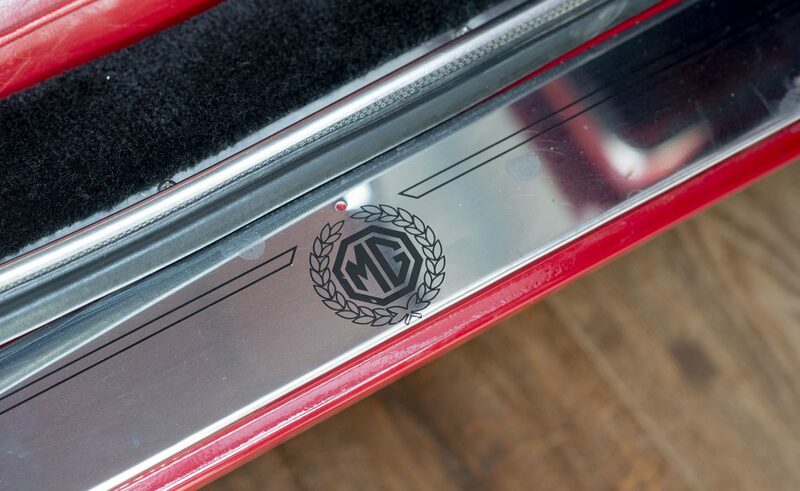 Naturally eligible for Historic registration. 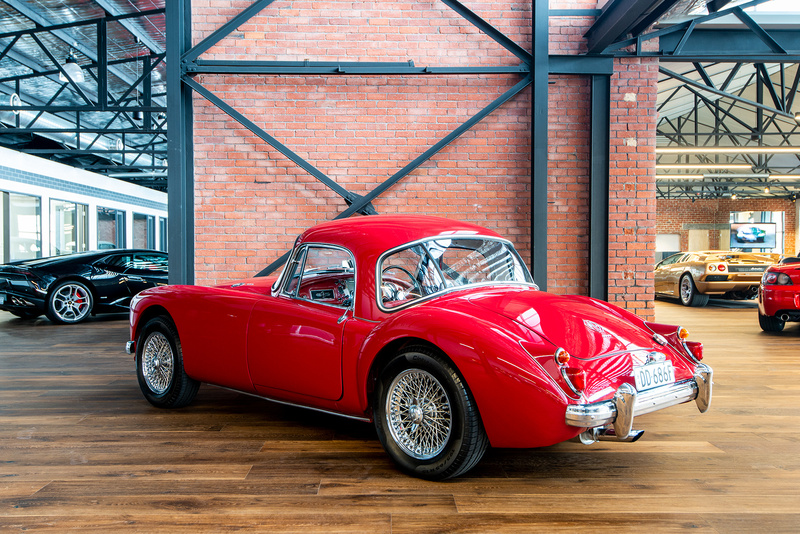 On display in our new showroom in Adelaide.